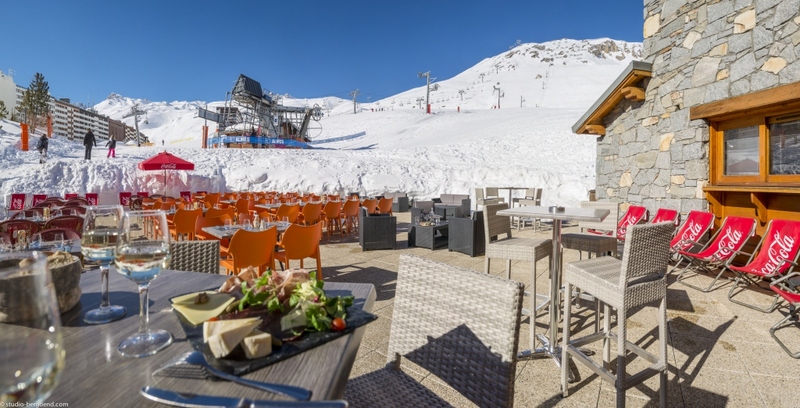 Traditional Savoyard dishes, fine dining, cuisine from around the world or a quick bite to eat… In Tignes, there is something to suit everyone’s taste buds! 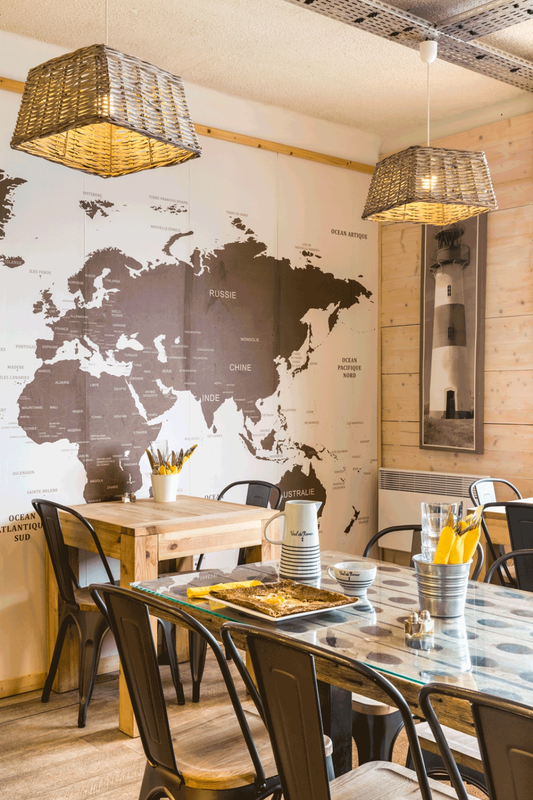 As for atmosphere, you can choose from designer interiors to festive or informal settings. 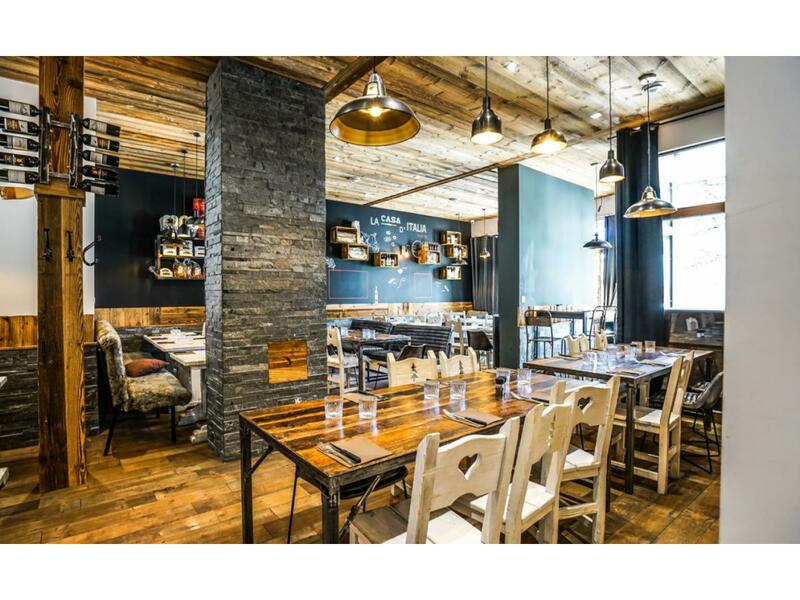 In a group, as a family or with friends, you are certain to find your culinary HQ here! So, where are you going to go this evening? 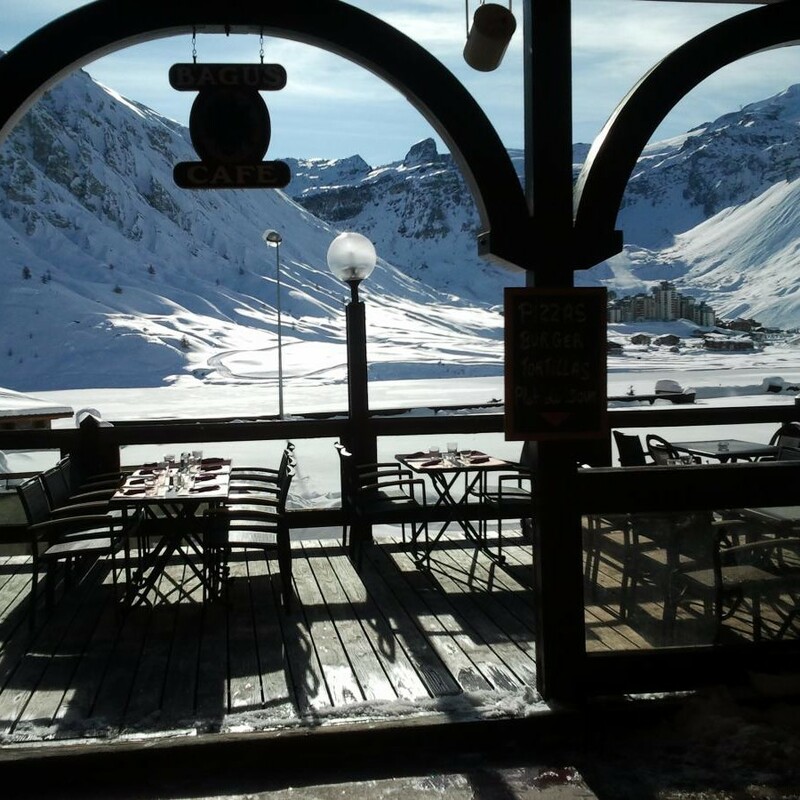 La Cantine du Panoramic is a buffet restaurant (self service) and proposes a large choice of fresh food : home made pasta and gnocchi, grilled meat, pizza, soup and salad, and a huge buffet of desserts. 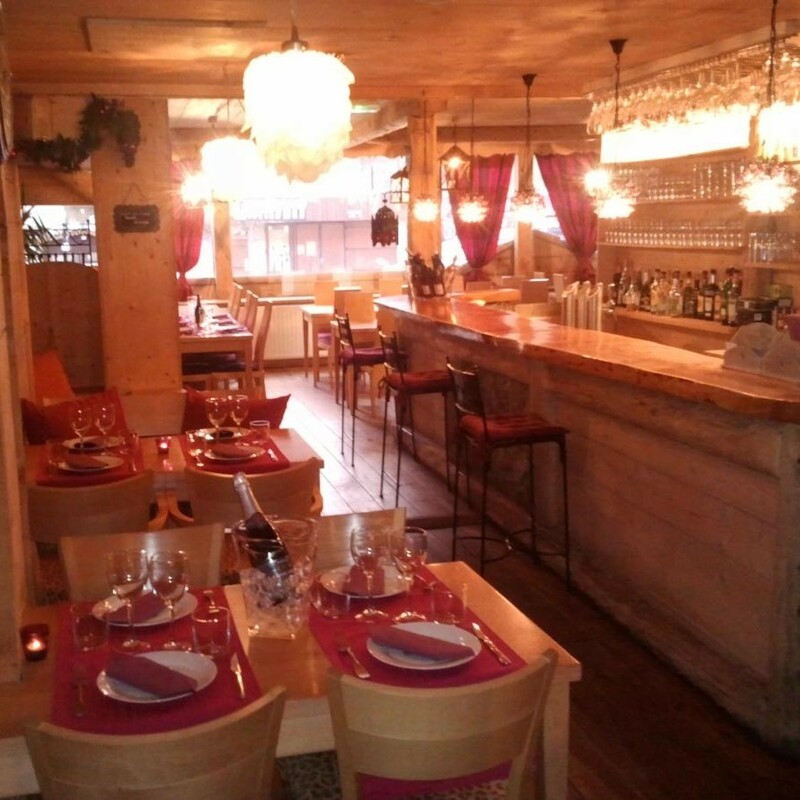 Large kitchen, traditional cuisine, specialties. A menu of dishes presented with taste. Coffee show. 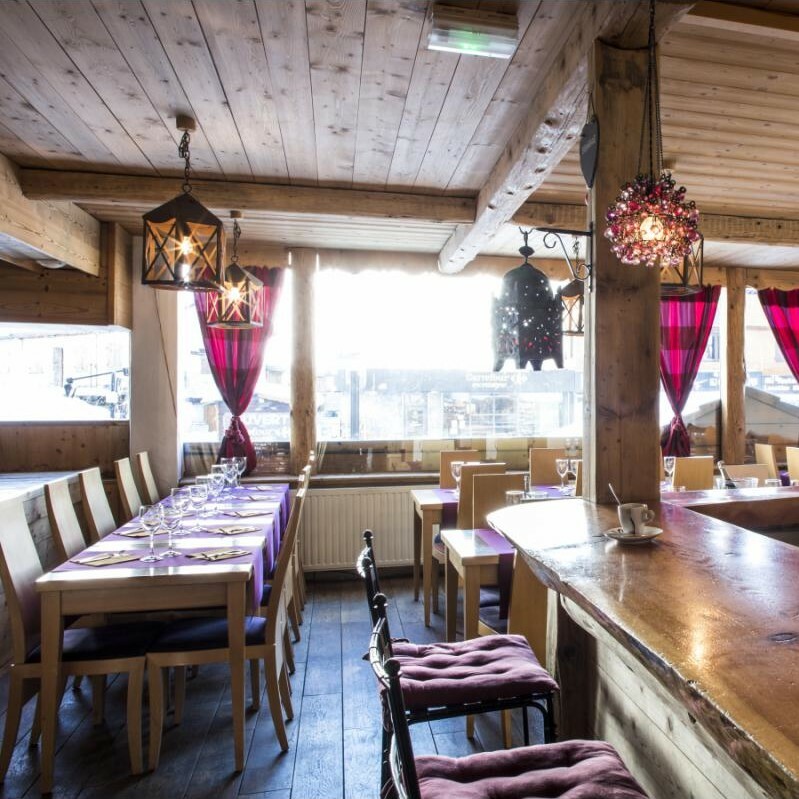 URSUS is the new restaurant of the Maison Bouvier. with 12 tables and 45 seats, Ursus will propose a unique experience in a forest atmosphere (380 trees in the restaurant). Gastronomic cooking with 5 or 7 courses menu. 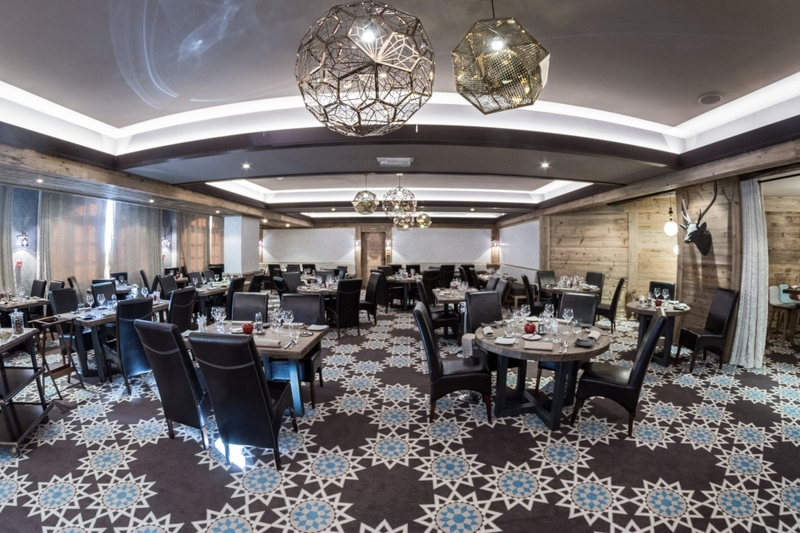 La Table de Jeanne is a new restaurant with kitchen opened on the dinning room. 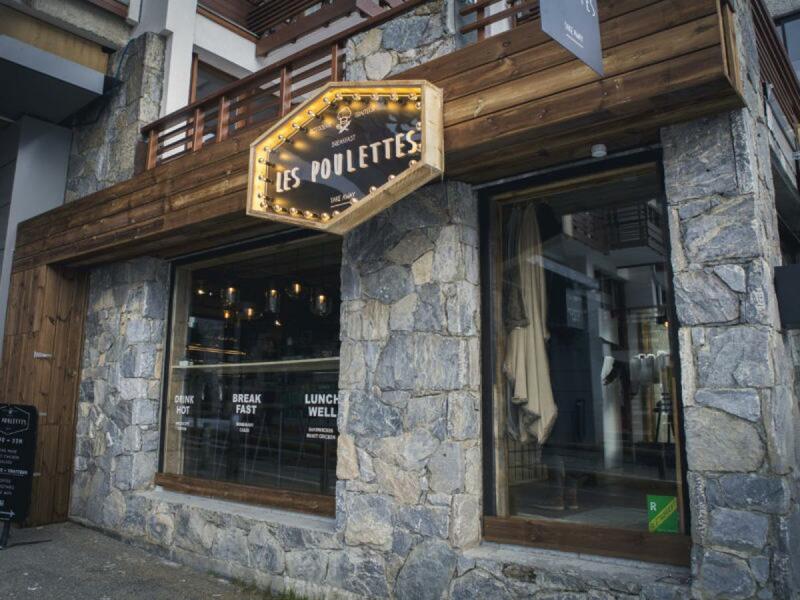 Local food and savoie specialities like fondue, raclette, tartiflette. 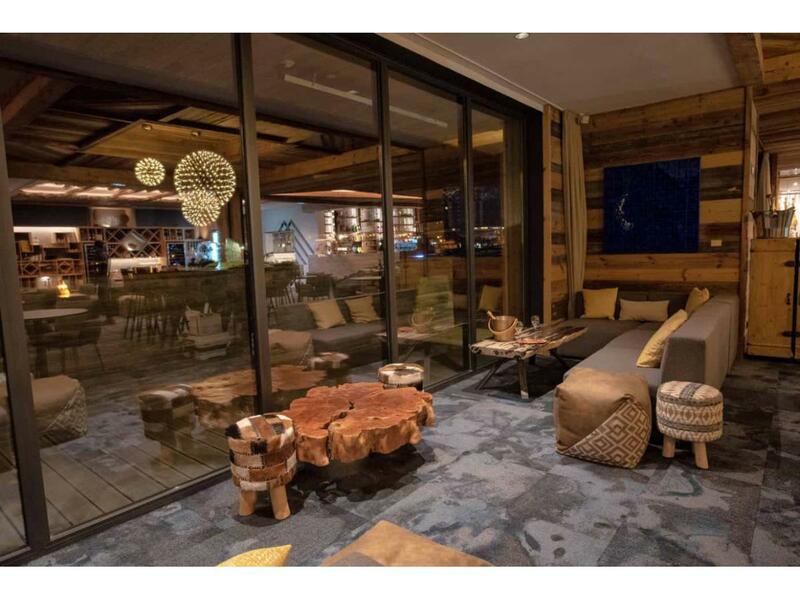 Welcome to an authentic dairy farm, the only restaurant in the resort where you can watch the animals while comfortably installed near a large fire place. 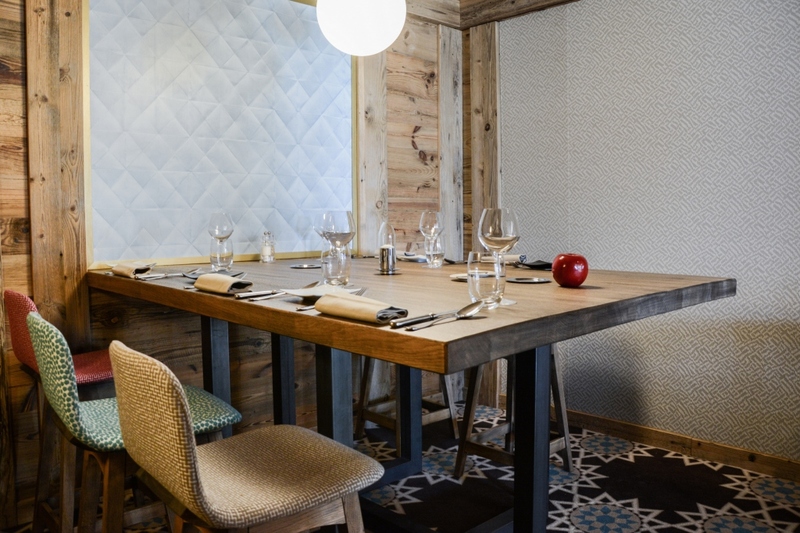 Seated around a big table, enjoy the local produces and the homemade cheese. 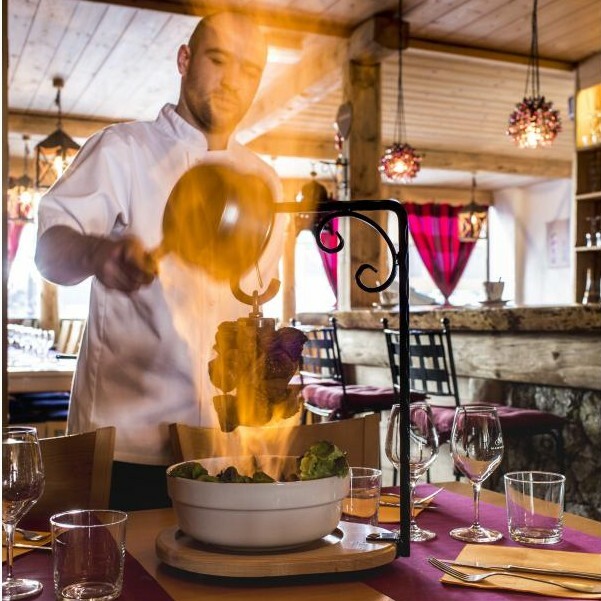 It is in a contemporary savoyard frame, and in a friendly and musical atmosphere, that we propose you a gourmand and creative cuisine made of home-made dishes and reinvented specialities. 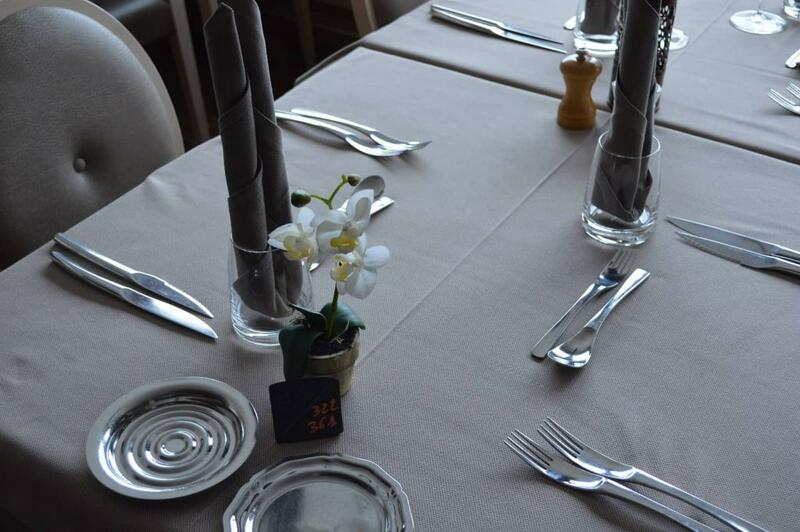 We also propose a nice selection of vegetarian dishes and a real VEGGIE MENU. 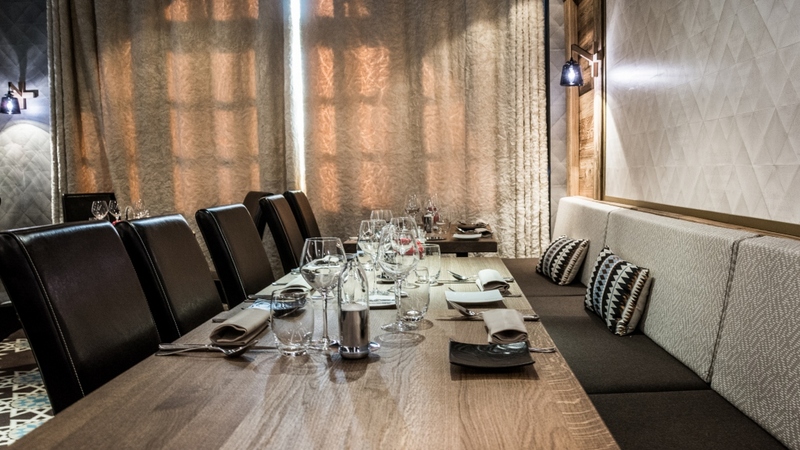 NEW : For lunch-time, privatise the restaurant and organise an exclusive event for your group. 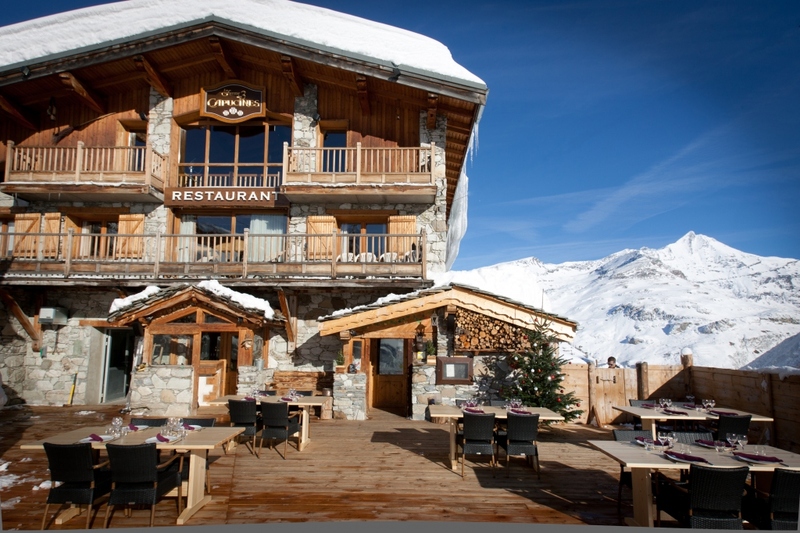 Located 2 minutes away from Tignes Le Lac, in the hearth of the Lavachet area. Next to the Sherpa supermarket, 50 m away from the free-shuttles stop. Booking advised. 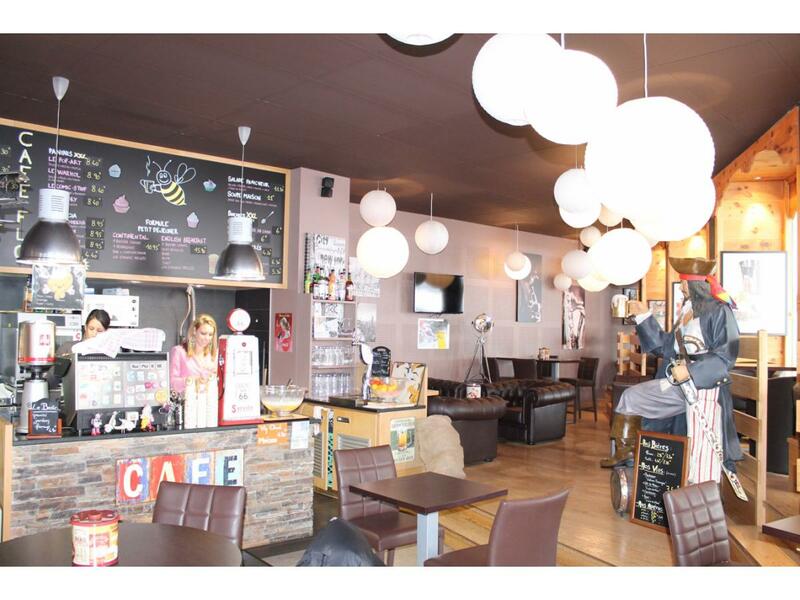 Le Bagus café un établissement qui vous offre un lieu accueillant et convivial tout vous en proposant un repas de qualité. 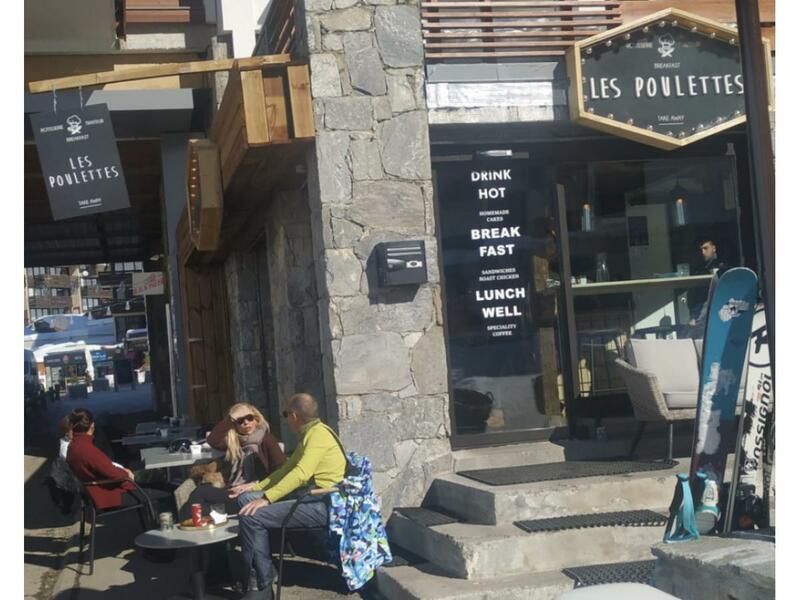 Ambiance pierres et bois à l’intérieur, vaste terrasse plein sud avec vue sur le lac et la grande motte. 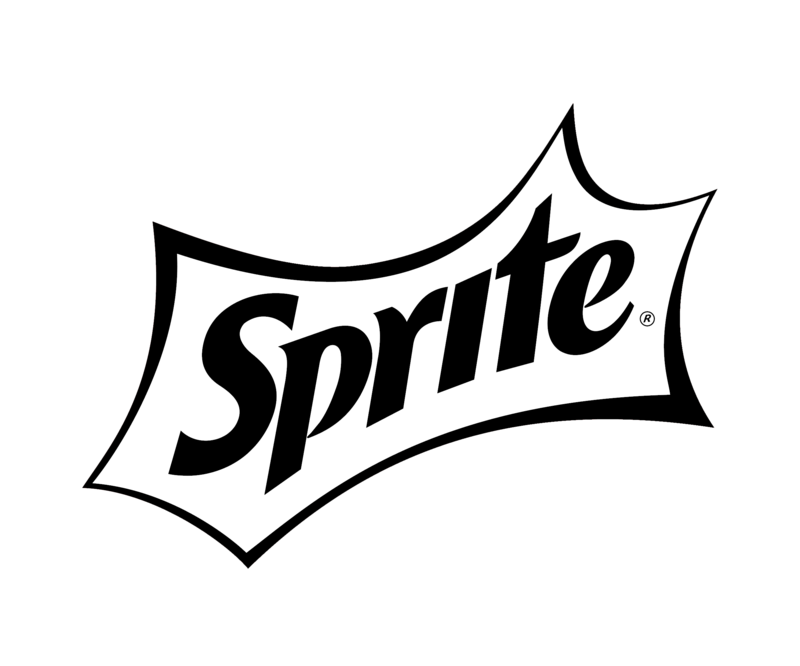 Une cuisine axé qualité et fraîcheur, préparée à base de produits frais et sélectionnés avec soin. 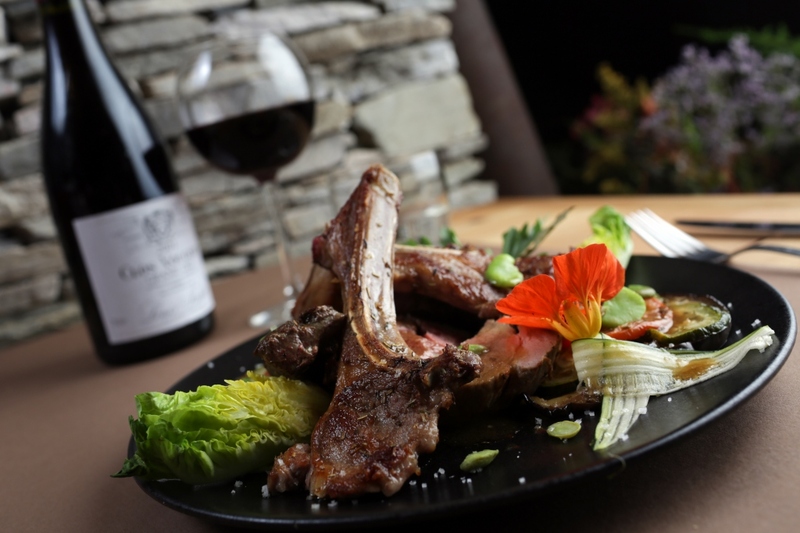 A la carte les spécialités Savoyardes, une sélection de viandes racé (Charolaise, Simmental, Angus), pizzas et burgers ainsi que des plats végétariens. 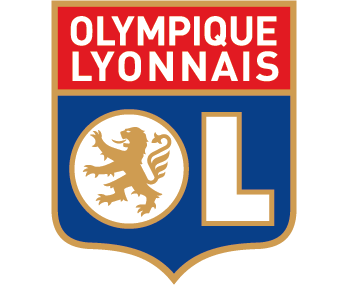 En salle ou à l'extérieur, cadre agréable et ambiance chaleureuse vous attendent. 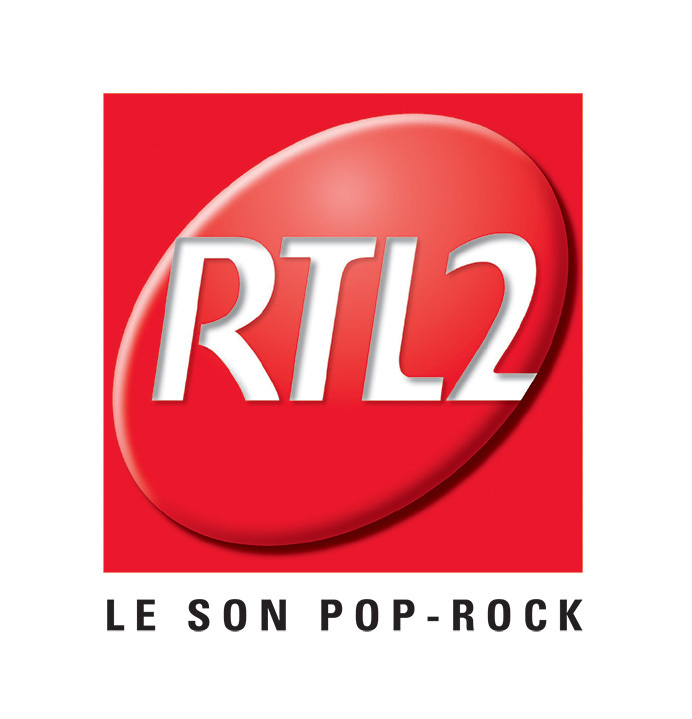 A essayer sans tarder ! 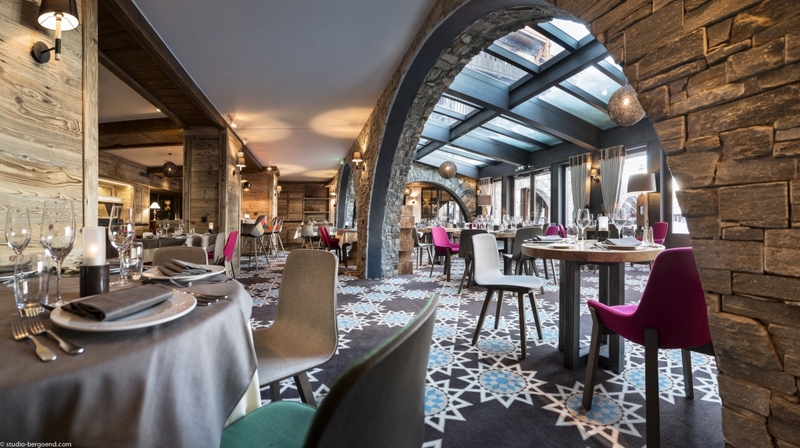 In our gastronomic restaurant be tempted by our seasonal dishes prepared with fresh, quality ingredients: duck foie gras, Pata Negra hams, Brittany lobsters, langoustines, scallops, milk-fed veal, charolais beef. 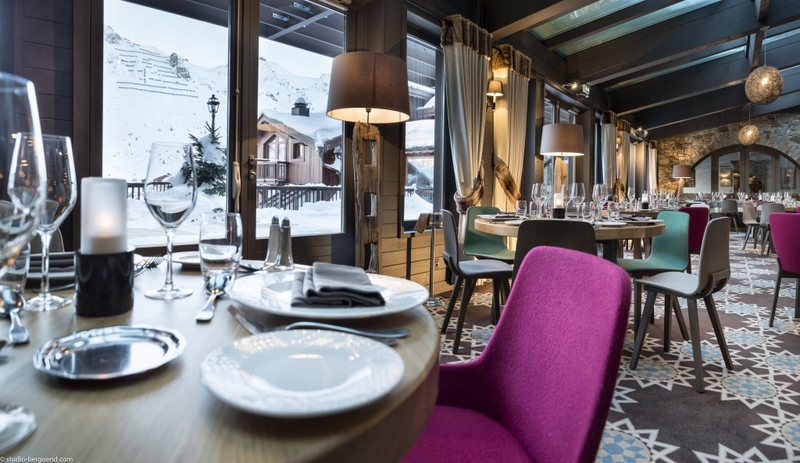 The restaurant Le Gourmet proposes an à la carte menu as well as a menu of the day (with seven courses). 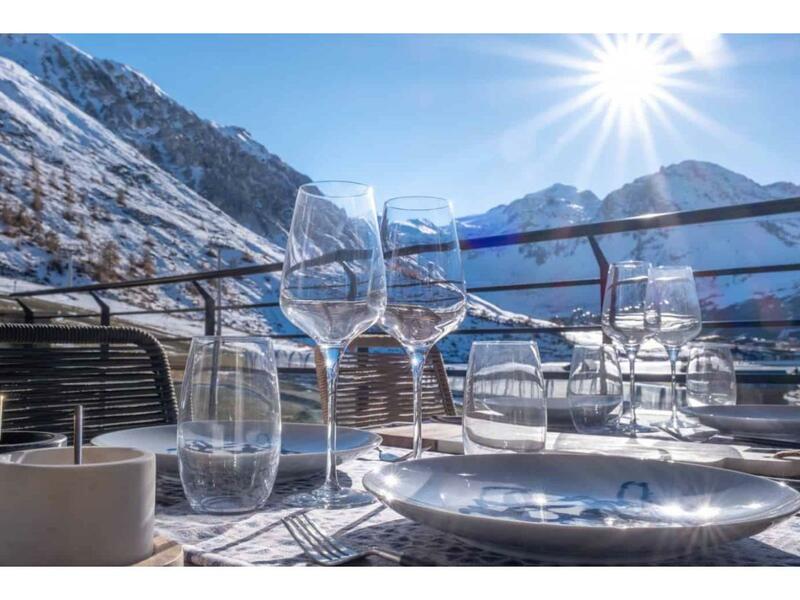 At the bottom of the slopes in Tignes, don’t miss a chance to enjoy delicious food inspired by traditional Savoy cuisine! 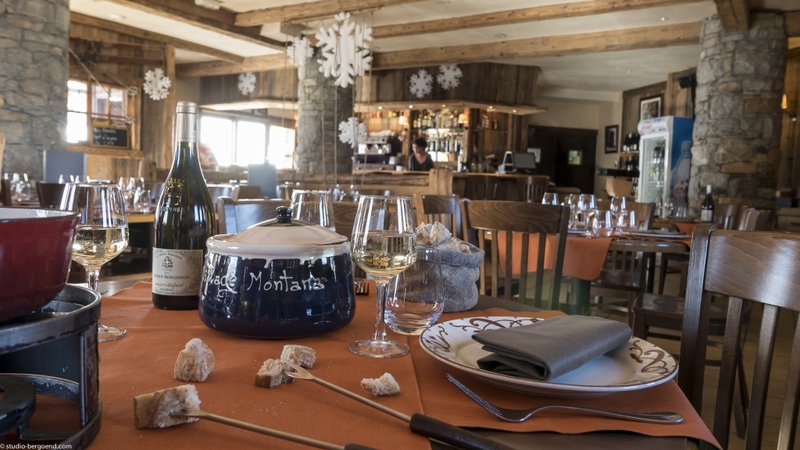 On a sunny terrace of our restaurant “La Chaumière” you can choose between tartiflettes, cheese fondues, in addition to the mountain specialties plate to share with friends or family! 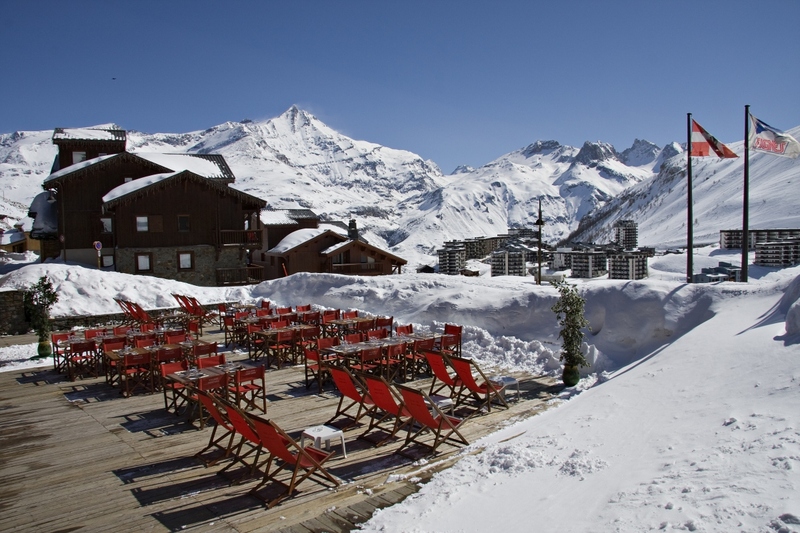 A large choice to restore and boost your energy for an afternoon on the slopes. 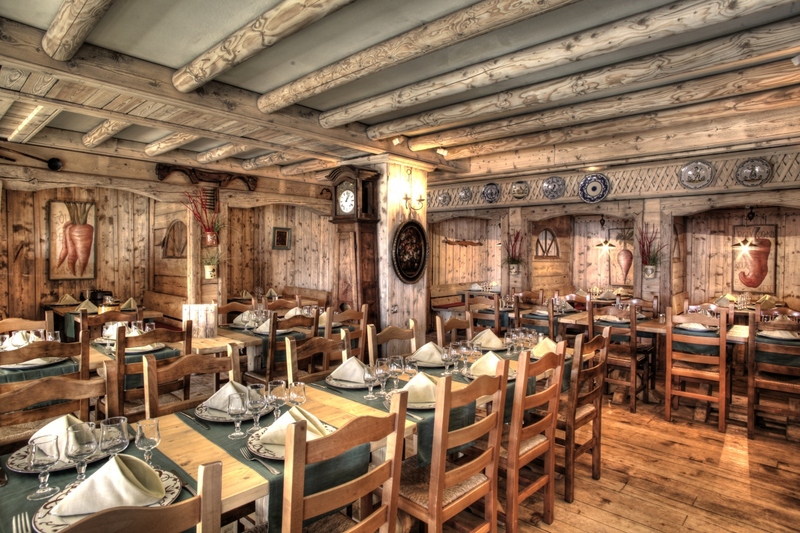 In the evening, sit down comfortably inside the restaurant La Chaumière with typical rustic settings decoration, which goes perfectly with local specialties proposed. 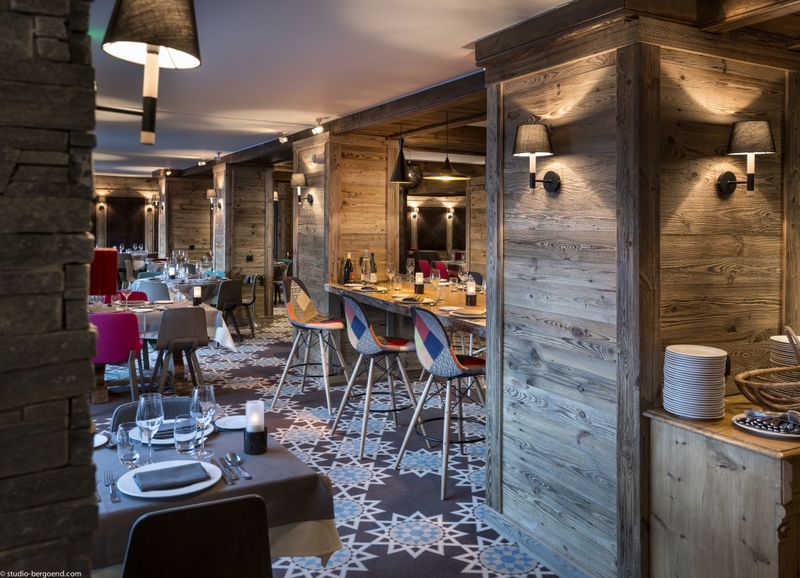 At the heart of the Residence Planton, discover the ski to the door brasserie : La Place. 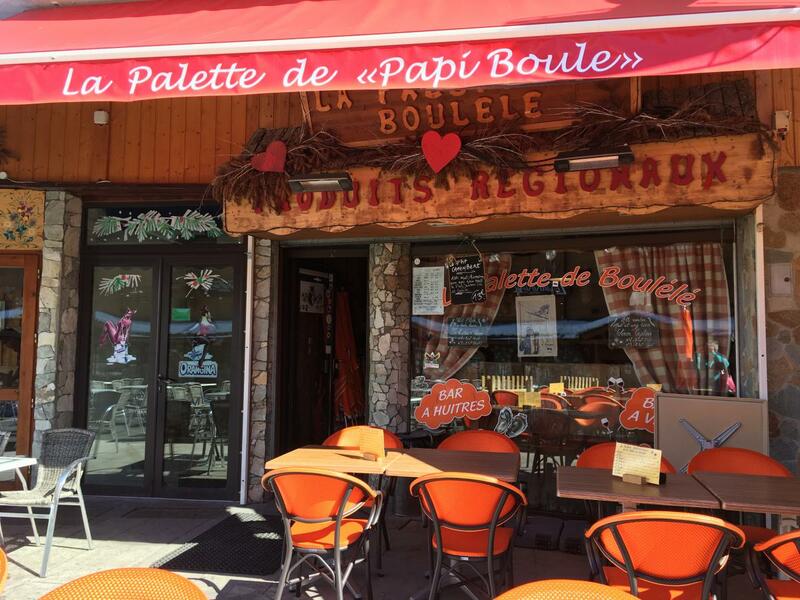 In the centre of Tignes le lac, this traditional restaurant and pizzeria welcomes you on its large terrace at the foot of the slopes, or in its authentic mountain style dining room. 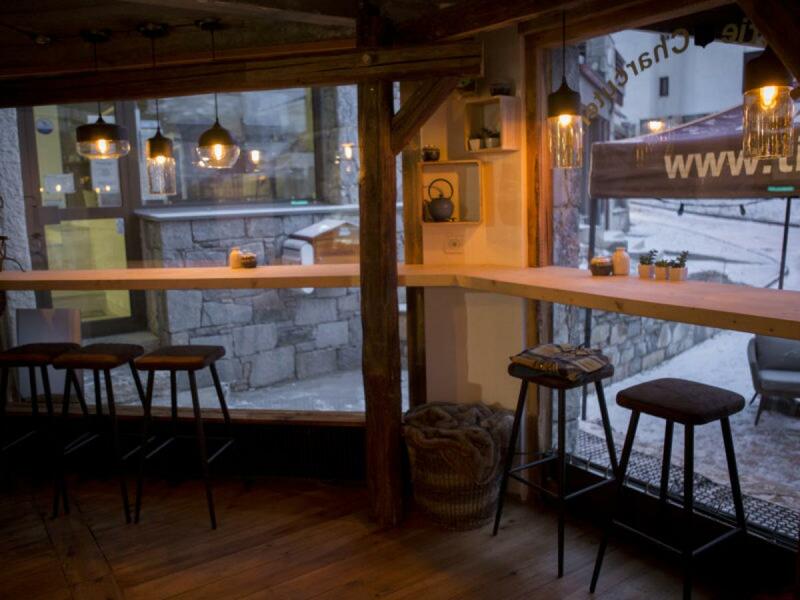 In its friendly atmosphere, you can try delicious dishes, pizzas, snacks all served throughout the day. 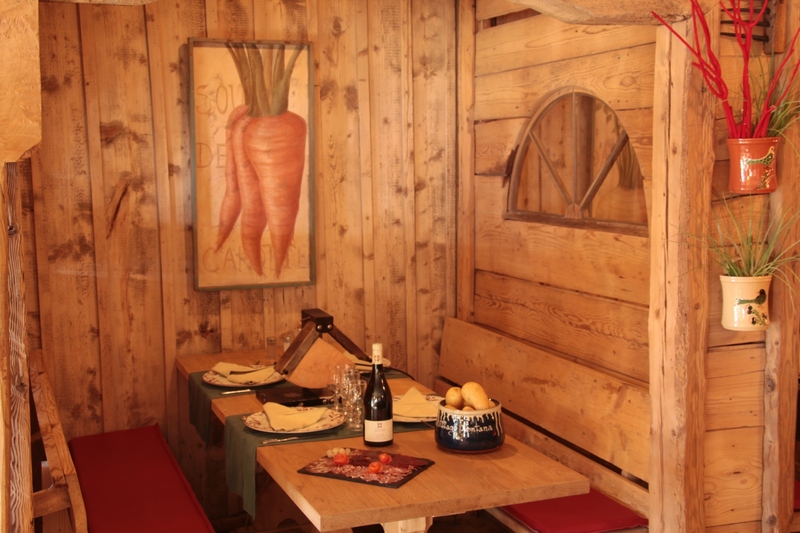 In the evening, we propose savoyard specialities : raclettes, fondues, tartiflettes etc. The whole team welcomes you every day from 11:30 to 22:00. 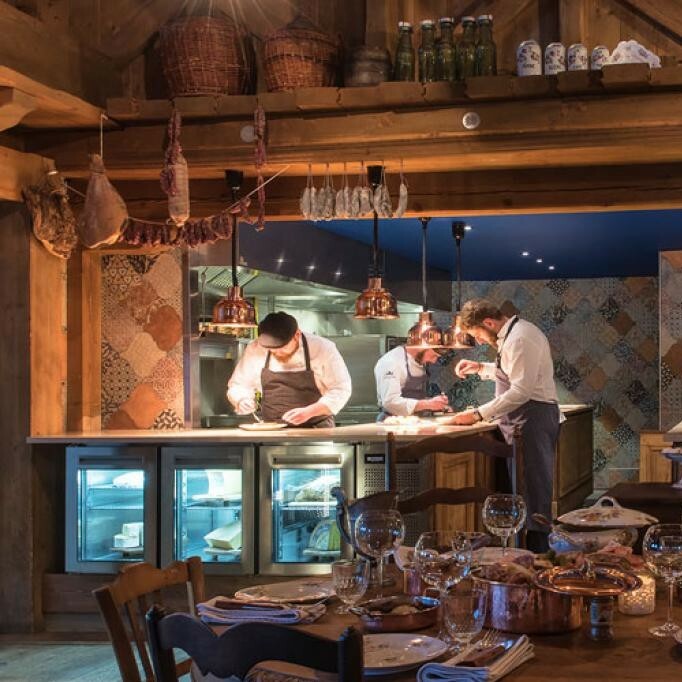 Created in a family spirit, the Pignatta it's today centered around the Savoyard and Italian cuisine. La Pignatta is pizzas made in the purest Neapolitan tradition. 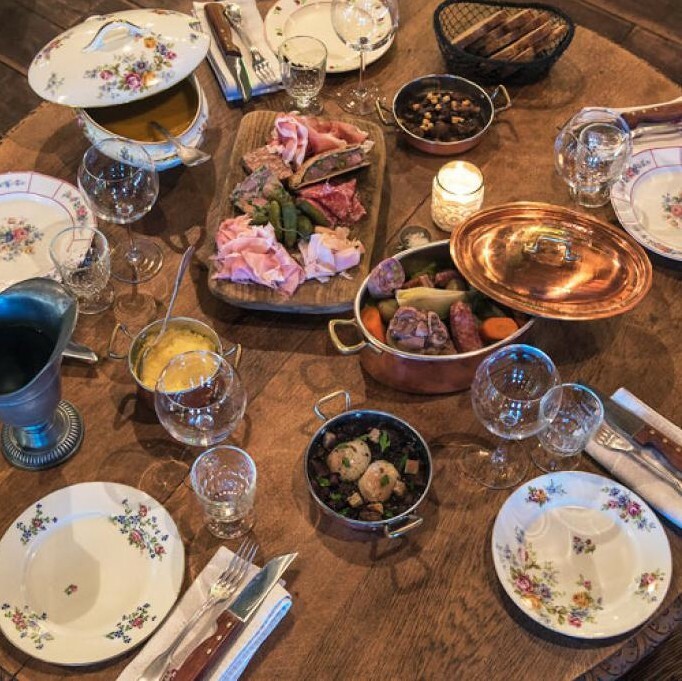 It is a simple and natural healthy cooking in the respect of the products of our soil to find the authentic taste Italo-Savoyard. 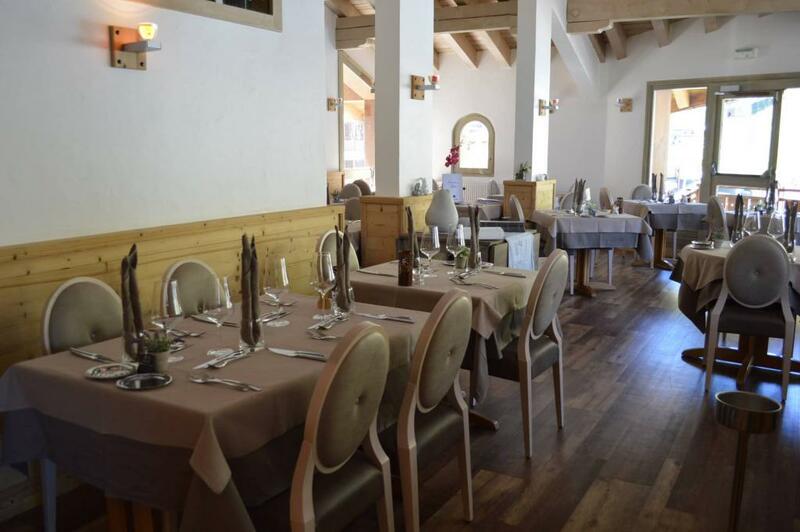 Our dining room was renovated for the opening of the winter season 2015/2016 . Completely new service team, A new ambiance , This year Nadia will be assisted by her Maître d’Hôtel. All that things to offer you an elegant, generous and full attention service. 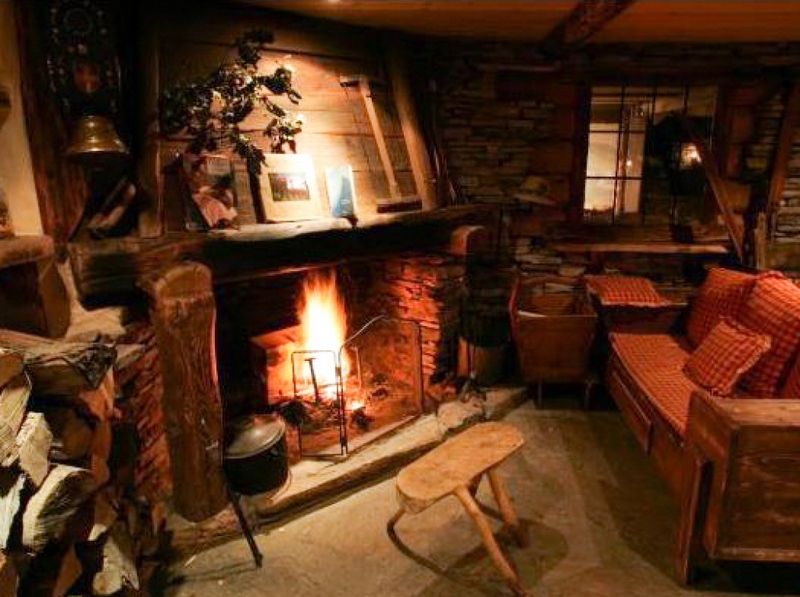 The delights of Britanny served in the mountains. Entwining tradition and quality; the organic flour is carefully slected from Brittany, the gluten free batter mixed by hand. 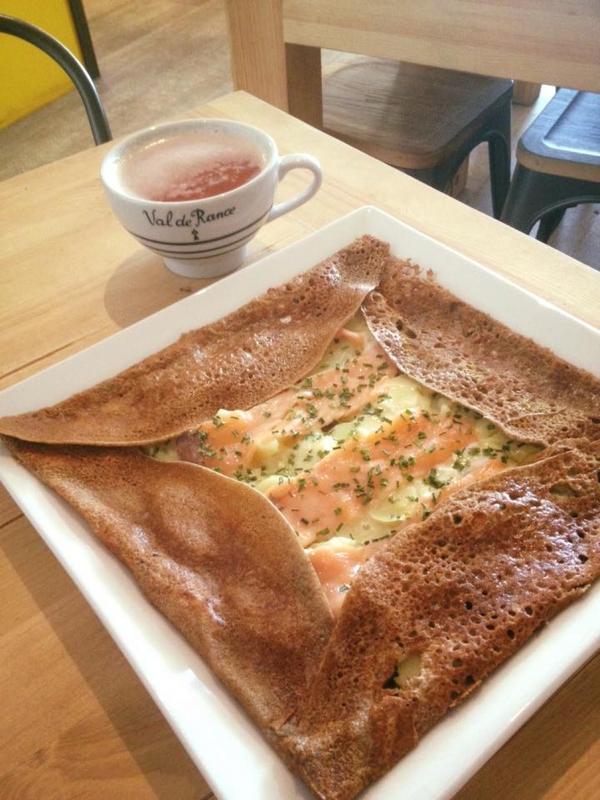 Step into this charming restaurant to create your galettes with whichever ingredients take your fancy. 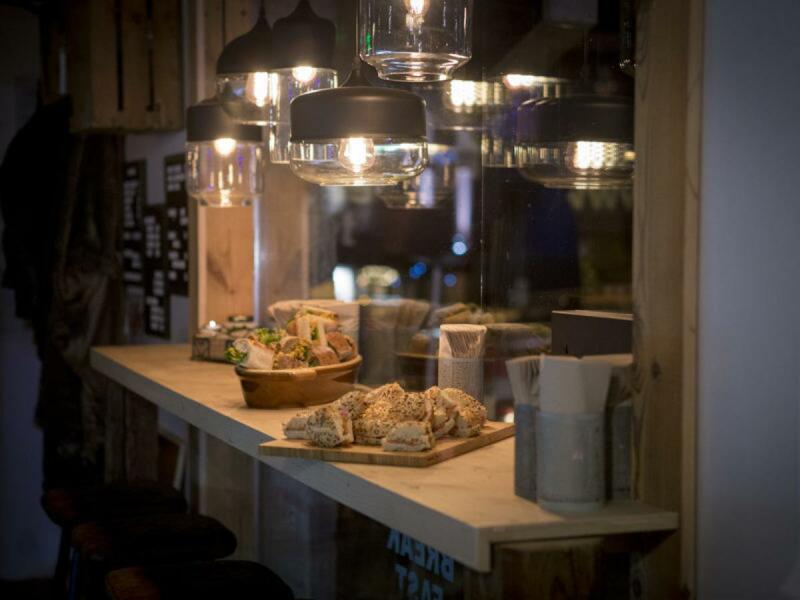 Crepes and galettes might be the staple of this restaurant, but dont miss out on the "Breizh" burger, the salads or the omelettes. Delicious. 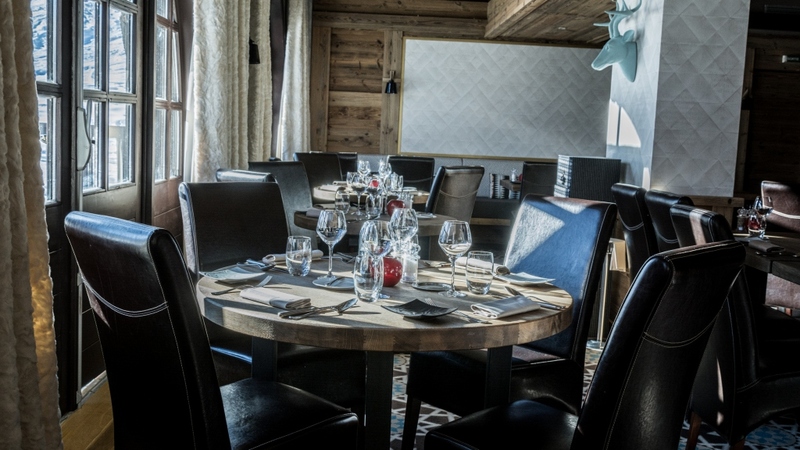 At the heart of the 4 star Hotel Village Montana, you will find the restaurant Les Chanterelles. 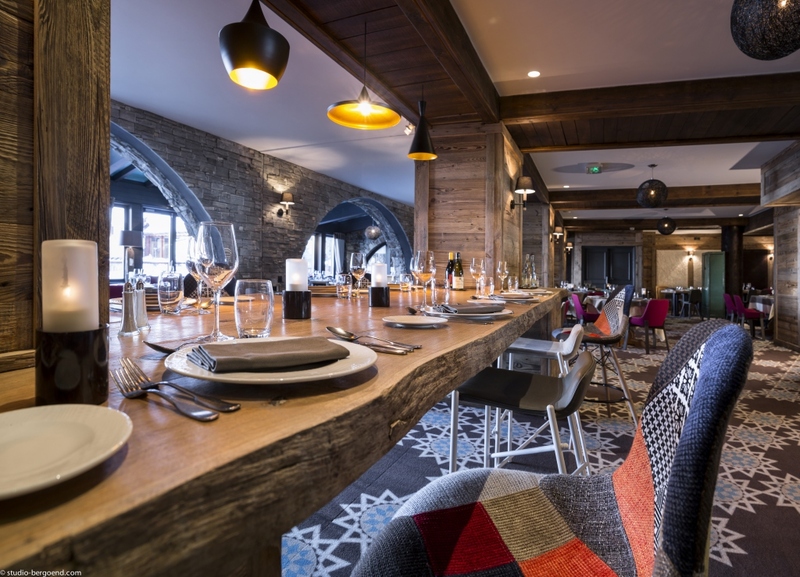 In its warm and authentic surroundings, we propose both traditional French and world cuisine incorporating a large choice of dishes and several menus. In this family atmosphere, be tempted by the cheese and dessert buffets available. 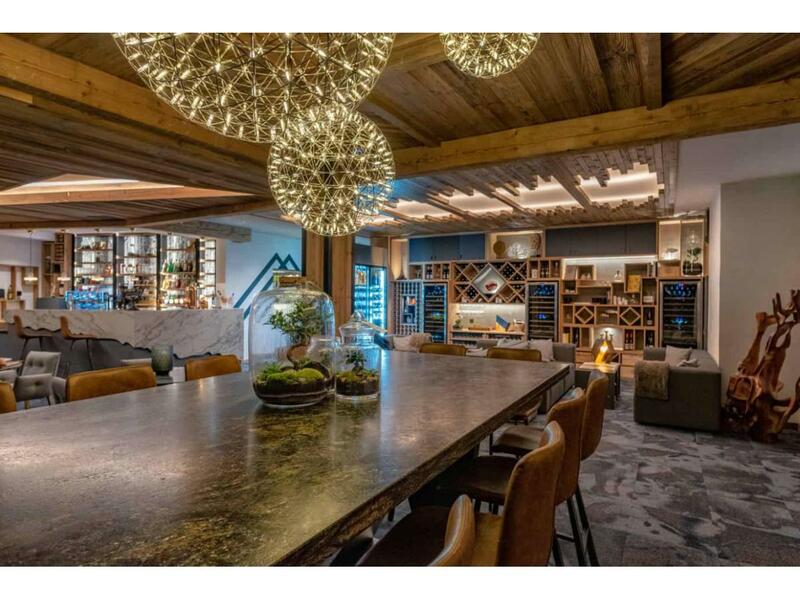 A fabulous variety of different tastes for adults and children alike.